These days, hiring is a critical component of most HR policies across big and small organizations. Most companies have their independent teams handling recruitments or often engage search agencies for working on their requirements. Although, recruiters or search companies do a fairly good job of scanning profiles and passing on those to the functional teams, they still have a lesser understanding of who would be the correct fit according to the needs of the organization. This is where leaders have an edge in getting the best person on board. Not that all leaders are able to make the correct choices all the time, yet they do a better job of recruiting the right talent when it comes to hiring somebody for their organization. This is observed more often as leaders are well versed with the kind of company culture that runs in the organization. They are well aware of the specific requirements of the organization which then helps them to gain a better understanding of who would potentially be a good select for the organization. Understanding the requirement: Whenever a requirement comes up, leaders take complete responsibility to understand the need and the position well. They put in much thought in terms of who needs to be recruited, the kind of experience, qualities and skills required for the job. While doing this, they keep the mission, vision and the values of the company in their mind. They jot down all the important criteria which need to be catered to while they scout for talent. Since they are the ones who know the organization better, they know exactly who can fit into the job role and what kind of people would be able to help them in achieving their organizational goals and also take their company to the next level. Take time and effort in scanning resume: Once they have made a note of all the things that they are particularly looking for in a candidate, leader nurturers take enough time and effort in scanning the resume. They put in efforts in going through every single resume looking at the profile, experience and the background of the person. Much thought is put in analysing a profile which is then matched according to the needs of the company. Since they know what the position is about, it becomes a lot easier for them to hunt for the correct talent. Weeding out resumes which are irrelevant doesn’t take much time, since they know who exactly would be the correct fit for the company. Taking enough number of interviews: After shortlisting the candidate profiles that they have liked, leaders start interviewing people. They maximise the number of interviews they take because they know that this would increase the probability of getting the right person on board. They interview as many people as possible to know who would best fit into the game. They devote enough time to understanding and talking to the candidates at length about their profile, assessing them on various parameters and also key skills which are required for the job. They take efforts to discuss profiles with their functional heads to get a perspective of who exactly would be the best person to fit into the company. Its only after they have interviewed all the profiles that they have, do they get down to the process of zeroing onto the person who would be the best fit for the job. While leaders recruit and get in the right talent for the job, a lot also depends on the kind of nurturance that is given to this talent. Leaders need to allow talent to grow not only professionally but also personally. In the process, they should facilitate the growth of whom they have recruited and act like mentors. They should take efforts to know the character and the strengths and weaknesses of people whom they have chosen. This will help them to understand where they need to pull the strings and where they need to put the reins to rest. They should also establish a trusting relationship with the mentees and in the process make them feel comfortable, so that the mentees feel related to the organization. When it comes to inexperienced professionals, leaders should help them show the direction they need to move the mentees ahead in life. They should provide open feedback which would have a direct or indirect impact on their lives. Once leaders are well ensured that they have recruited the best, they should channelize their energies in developing and retaining them so that they can get the best out of the talent and make them achieve higher levels in their personal and professional lives. Most leaders are a stockpile of talent. However, being a storehouse of talent is just not enough- the ability to pick, retain and develop talent determines a leader’s ability to breed followers or leaders. While recruiters who are professionally involved in the search business may do a good job of picking the right resume and passing it to the concerned functional team, a lot depends on the ability of the leaders involved, who are to make the final choice. Picking potential is analogous to their traits: Human beings exhibit this tendency to like people or be inclined towards people who are a lot like themselves. Similar stuff happens in situations while leaders are asked to pick talent. Most leaders pick people who behave alike, exhibit the same characteristics, share similar mission, vision and values and bring with them potential which is akin. Indirect reflection of what your company is going to be: Whom you recruit is an indirect reflection of not only who you are as a person but also a reflection of what your company is likely to be 25-30 years down the line, because a company is determined by the people who work for it. Every company cannot be a Google where leadership principles and stringent recruitment norms have been laid down and followed to the core and every person they hire is remarkably outstanding. While a leader has to pick out talent, no leader can refine his searches to perfection all the time. In the process, he grows. However, there are certain things that leaders need to do when they recruit potential talent, to increase the probability of getting the right person on board. Know exactly what it takes: While there is a pressing need in organizations to recruit personnel and as most of us are aware that scouting the right talent can be an arduous task, leaders still spend a lot of time hunting for the right resume. They take time in scanning hundreds of profiles, narrowing down their searches to the people who are most likely to fit into their organization and then get down to choosing whom they think is the best fit for the company. Most leaders are consciously aware that it is the people who make or break the company, which is why they take rigorous efforts in hiring the best. 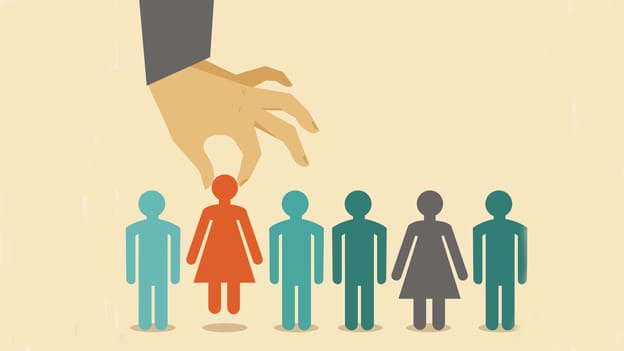 Different leaders have different norms for hiring personnel. They have their own set parameters which they look for in a potential candidate. Some regard leadership ability as important, while others may look for honesty or integrity. Recruit people with high potential: Leaders may or may not follow a traditional method of hiring. Some of them hire people with good academic backgrounds or candidates from top-notch universities, others would look for skills required on the job. But real leaders go beyond the normal. They pick out talent based on behavioural skills which are in line with a consistent high performance at work. These behavioural skills may be high intelligence or IQ levels, different parameters of personality and character and other abilities with the right kind of potential. They know how to pick out genuine talent from the ones who are faking it. They may even select candidates who are difficult to handle but eventually the others are left to realise that their potential paid off not only to the person but also to the company. While leaders recruit and get in the right talent for the job, they need to allow them to grow not only professionally but also personally. Leader nurturers act like mentors. They know the character and the strengths and weaknesses of people whom they have chosen. This is one of the reasons why they know where they need to pull the strings and where they need to put the reins to rest. They establish a trusting relationship with the mentee and in the process make them feel comfortable, so that the mentees feel like sharing not only concerns and issues at office but also with respect to life otherwise. When it comes to inexperienced professionals, leaders help them show the direction they need to move the mentees ahead in life. They should provide open feedback all the time which has a direct or indirect impact on their lives. Once leaders are well ensured that they have recruited the best, they channelize their energies in developing and retaining them so that they can get the best out of the talent and make them achieve higher levels in their personal and professional lives.